This post will go over extracting feature (variable) importance and creating a function for creating a ggplot object for it. I will draw on the simplicity of Chris Albon’s post. For steps to do the following in Python, I recommend his post. 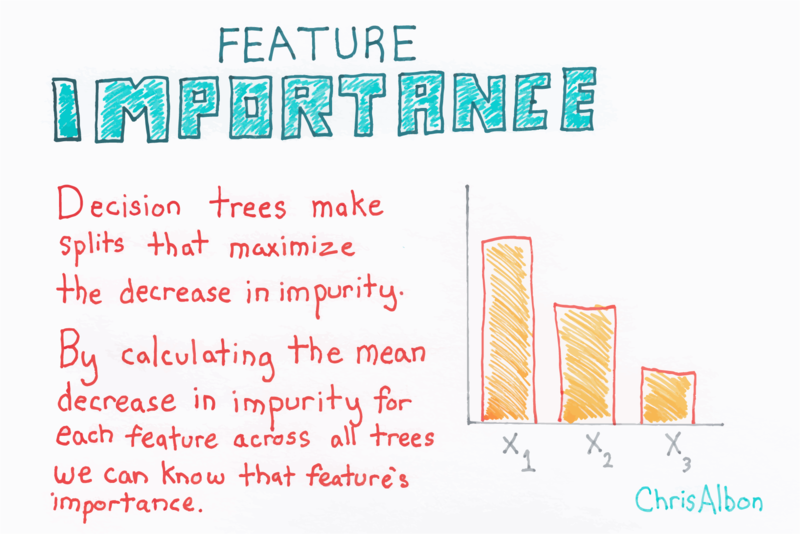 If you’ve ever created a decision tree, you’ve probably looked at measures of feature importance. In the above flashcard, impurity refers to how many times a feature was use and lead to a misclassification. Here, we’re looking at the importance of a feature, so how much it helped in the classification or prediction of an outcome. This example will draw on the build in data Sonar from the mlbench package. ##  0.1, alpha = 0.1 and eta = 0.3. Since we are using the caret package we can use the built in function to extract feature importance, or the function from the xgboost package. We will do both.